I definitely think Primark has its ups and downs, and I really think it's on an up at the moment- I can't stop buying things! I had seen this bag a few times on YouTube and Instagram and I knew it had to be mine- I envisaged wearing it with a monochrome outfit or just adding a pop of colour to a holiday outfit. I wanted it so badly I had actually asked three different people to look in three different Primarks but they didn't have any luck. I ended up heading to Lakeside this weekend and I was so happy when I laid my eyes on it (sad I know), it went straight in my basket. 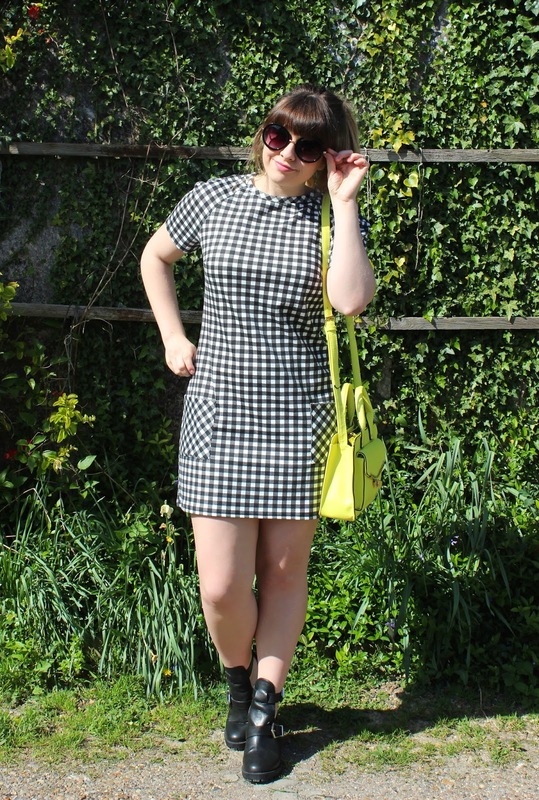 This checked dress has been in my wardrobe for a few weeks now and I love it so much! 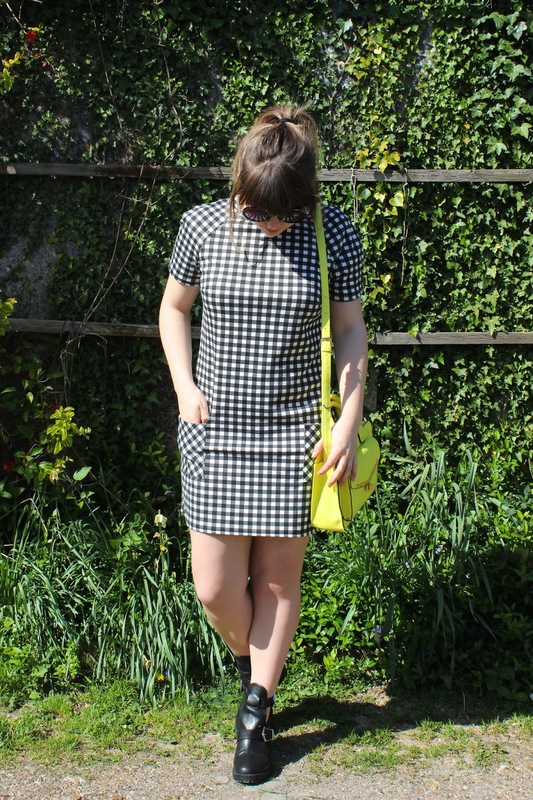 I've worn it with tights and a jumper and now managed to brave bare legs. I think the bag definitely adds to the dress though! These sunglasses are another Primark find and I love the big bug eyed look they give- perfect for adding a bit of chic to an outfit. I took these photos in the amazing sunshine today and it was a lovely way to finish a lovely weekend which was filled with shopping, seeing family and generally relaxing. I'm not feeling too down about Monday tomorrow because I know I've got a four day weekend coming up next. Has anybody got any plans for their Easter break? That bag is amazing and from Primark too! Every time I see someone wearing that bag, I want it more and more!